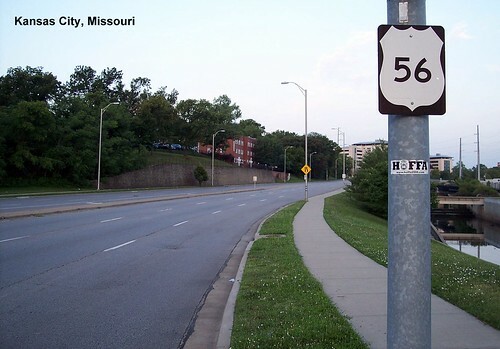 Coming from US 71 we see a sign for US 56. 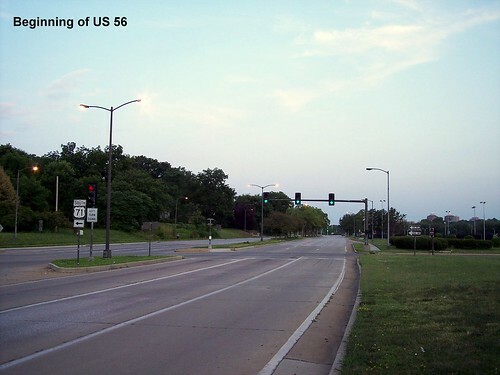 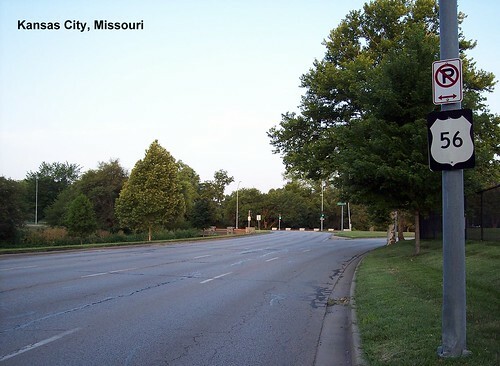 US 56 begins here at the interchange with US 71. 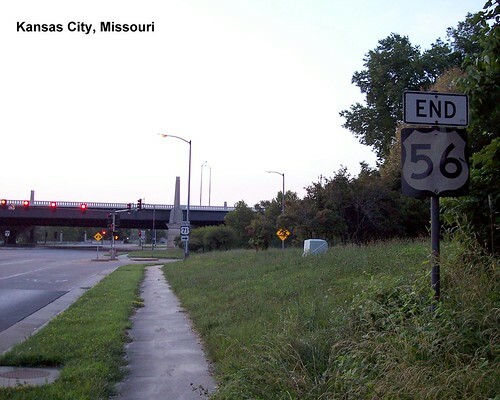 On the opposide side of the street we see an End sign for US 56. 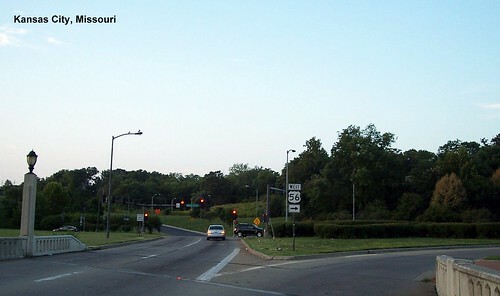 The first shield along US 56.